Being perfectly shaped and swift movement of our organization, we are instrumental in offering a modern range of Marble Statue of Saint Shree Gajanan Maharaj. For carving the entire range, our creative professionals use only modern machinery and leading-edge techniques, in compliance with predefined industry quality standards. 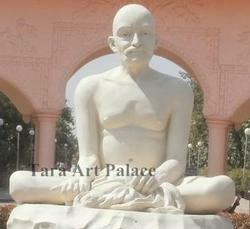 Apart from this, we also modify this statue as per varied requirement of our clients. We provide this statue to our clients at industry leading prices. With the constant support of our dexterous crew of professionals, we are fulfilling the varied requirements of clients by offering optimum quality Gajanan Maharaj Statue. 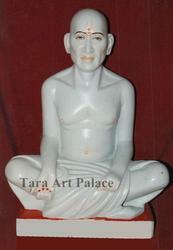 We provide this excellently designed statue in various sizes and shapes as per the requirement of our clients. Our manufacturing unit is armed with sophisticated machinery and cutting-edge tools that helps us in designing this statue as per the latest market trends. In order to ensure quality of the entire range, quality controllers perform a series of test on various parameters. 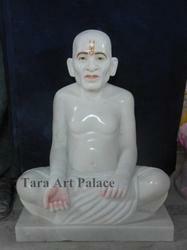 Owing to perfection and quality oriented approach, we have carved niche in the industry by offering an enormous grade array of Marble Gajanan Maharaj Statue. The provided range is designed by our highly experienced craftsmen from the utmost grade raw material and advanced technology, at par with contemporary trends of the market. 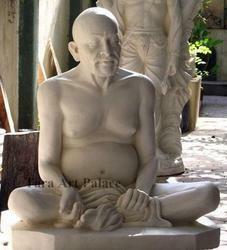 Apart from this, clients can avail this exclusive statue from us in numerous designs and shapes at reasonable price. 18, 21, 24, 27, 30, 33, 36, 39, 42, 45, 48, 51, 54, 57, 60, 63, 66 inches etc. As a quality-oriented organization, we are focused to provide our clients excellent quality Gajanan Maharaj Marble Murty. The offered range is designed by our qualified professionals with utmost care and perfection by making use of quality assured raw material and sophisticated technology. In order to ensure the quality of this murty, our experts test the entire range on various parameters. Apart from this, we provide the entire range in different specifications to meet varied needs of clients. 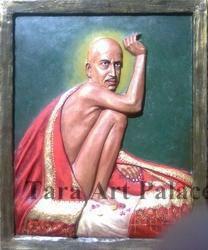 Looking for Gajanan Maharaj Statue ?